With the market becoming ever competitive every sales team is looking for ways to bring in new customers. Every forward-looking organization at least uses a CRM to manage their customers and customer interactions. With the CRM war between top products like Salesforce and Microsoft Dynamics CRM newer technology find its way into top CRM’s sooner than later. Sales and Marketing Managers need to be aware of these developments to best utilize the product they use and be ahead of the competition. We try to highlight few trends every organization needs to consider in their sales and marketing strategies for the coming year. Most of the popular CRM are cloud-based or moving towards the cloud. Salesforce is 100% cloud and Microsoft Dynamics CRM has seen a greater traction in its cloud business be it Azure, Office365 or Microsoft Dynamics. In fact with the launch of Dynamics365 Microsoft has tried to move its other popular on-premises products like Dynamics NAV to the cloud.With numerous advantages like ease of use, ease of access, ease of management and affordable cost more and more companies will move towards a cloud-based CRM. 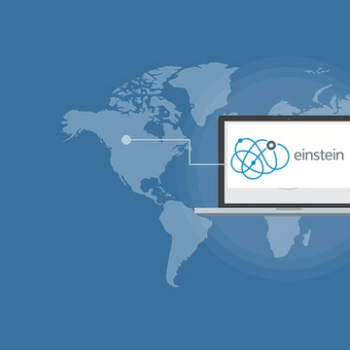 Salesforce Einstein is Artificial Intelligence for Everyone. Coming @Dreamforce. Artificial intelligence already found its way into major CRMs like Einstein for Salesforce. AI will continue to add more value to CRM systems helping with individual productivity and making informed decisions. Companies are bullish about the kind of business such information will bring on the table. Machine learning would be able to optimize human-machine interactions. AI will further help sales teams by analyzing patterns to qualify leads. In 2018 CRM majors like Microsoft, Salesforce, SAP and Oracle would invest heavily on AI to keep ahead of each other. Social CRM – With almost every internet user connected to social media sites like facebook, twitter etc Social CRM market is expected to grow from $1.91 billion in 2013 to $9.08 billion in 2018. Companies have started to understand the use of Social media to build its brand value and serve customers. Customer decisions are becoming more and more dependent on Social interactions. Companies have started using Bots to serve their customers on popular social media channels. 2018 will see more focus toward social CRM with more and more companies embracing it. Major CRM products already have a lot of features to make them social and the coming year will see more social features added to them. These are just a few trends expected to go big in the CRM space. With technology advancing more rapidly than before and integration of various technologies and systems we see most of the latest technologies finding its way into CRMs. Those of us who would adopt these technologies would be ahead of the crowd and become market leaders.